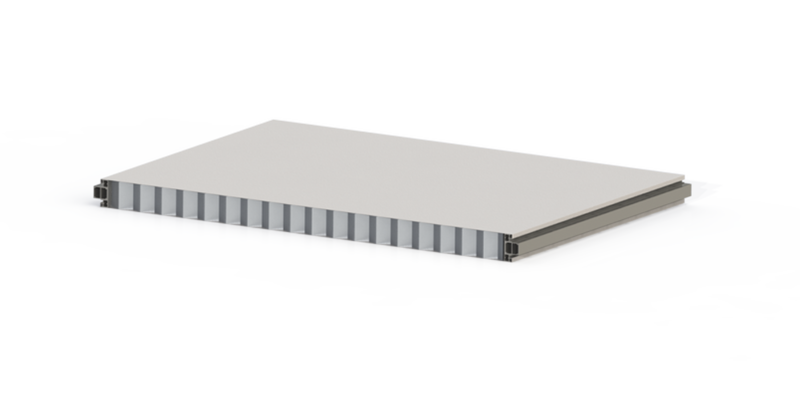 Sandwich panels for the construction of clean rooms with glued aluminium honeycomb internal infill and alumin- ium perimeter frame. The use of aluminium honeycomb ensures excellent mechanical resistance combined witha light weight. Can be used for internal partitions and false ceilings.